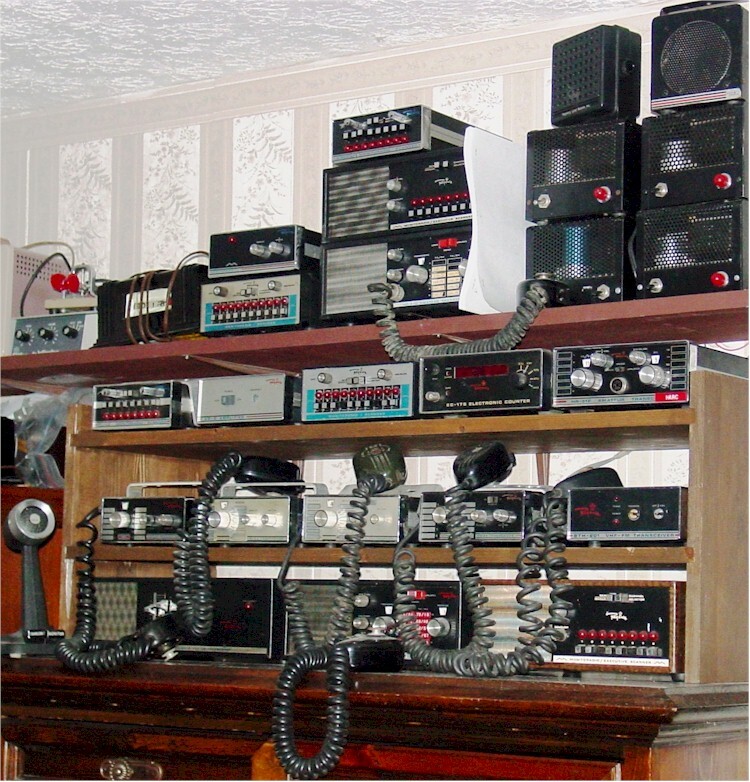 In the early 1970's I was introduced to Regency Electronics equipment through my teenage employment as a service technician ar Russ Hellen's Communications ("CB Center") of Whitehaven, Tennessee. The monitoring of public service was something of a craze in the early 70's and I serviced the many models of scanners then available, primarily Regency. When the amateur products line was introduced, I became the technician for those as well. The picture to the right is most of my Regency Museum. I would very much appreciate help in acquiring new items from the Regency product lines of the '70s. I am especially looking for Transcans (HR2-MS) and the portable battery pack for the HR-2. Click here if you are seeking documentation.